Heated Seats, Turbo, iPod/MP3 Input, Back-Up Camera, Alloy Wheels, Bluetooth. EPA 33 MPG Hwy/26 MPG City!WHY BUY FROM USHere at Baxter Volkswagen Omaha, our commitment to our customers goes far beyond your initial vehicle purchase. We don't want you to just have a great buying experience at our Volkswagen dealership in Omaha, NE, we want to provide you with all that you need to have a wonderful life with your new car.Fuel economy calculations based on original manufacturer data for trim engine configuration. Heated Seats, Alloy Wheels, Turbo, Back-Up Camera, Bluetooth, iPod/MP3 Input. EPA 33 MPG Hwy/26 MPG City!WHY BUY FROM USHere at Baxter Volkswagen Omaha, our commitment to our customers goes far beyond your initial vehicle purchase. We don't want you to just have a great buying experience at our Volkswagen dealership in Omaha, NE, we want to provide you with all that you need to have a wonderful life with your new car.Fuel economy calculations based on original manufacturer data for trim engine configuration. Heated Seats, Turbo, Back-Up Camera, iPod/MP3 Input, Alloy Wheels, Bluetooth. 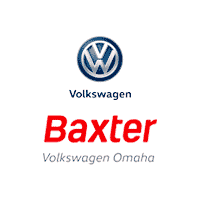 FUEL EFFICIENT 33 MPG Hwy/26 MPG City!WHY BUY FROM USHere at Baxter Volkswagen Omaha, our commitment to our customers goes far beyond your initial vehicle purchase. We don't want you to just have a great buying experience at our Volkswagen dealership in Omaha, NE, we want to provide you with all that you need to have a wonderful life with your new car.Fuel economy calculations based on original manufacturer data for trim engine configuration. Heated Seats, Turbo, Back-Up Camera, Satellite Radio, Alloy Wheels, iPod/MP3 Input. FUEL EFFICIENT 33 MPG Hwy/26 MPG City!WHY BUY FROM USHere at Baxter Volkswagen Omaha, our commitment to our customers goes far beyond your initial vehicle purchase. We don't want you to just have a great buying experience at our Volkswagen dealership in Omaha, NE, we want to provide you with all that you need to have a wonderful life with your new car.Fuel economy calculations based on original manufacturer data for trim engine configuration. Navigation, Heated Leather Seats, Alloy Wheels, Back-Up Camera, Turbo Charged. EPA 33 MPG Hwy/26 MPG City!WHY BUY FROM USHere at Baxter Volkswagen Omaha, our commitment to our customers goes far beyond your initial vehicle purchase. We don't want you to just have a great buying experience at our Volkswagen dealership in Omaha, NE, we want to provide you with all that you need to have a wonderful life with your new car.Fuel economy calculations based on original manufacturer data for trim engine configuration. We appreciate your interest in our inventory, and apologize we do not have model details displaying on the website at this time. Please fill the form out below and our team will quickly respond, or, please call us at (402) 382-4986 for more information.